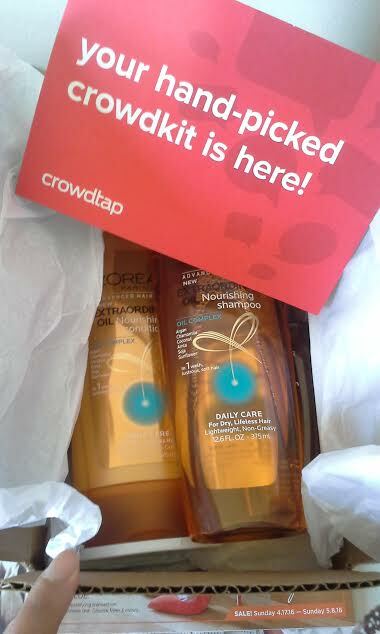 I have received these complimentary products for testing from CrowdTap and all my opinions are mine! 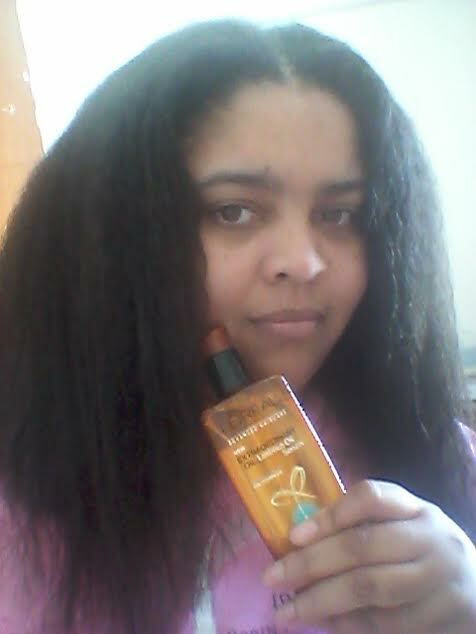 I was so excited when I was selected to test out this hair trio by Loreal via CrowdTap especially seeing the TV ads and how it uses botanical oils to conditioned dry hair!! I am curious because I have dry hair and relaxed/new growth strands which constantly need quality hair nourishing ingredients for healthy hair!! Inside my box I received shampoo, conditioner, and serum!! And here are the results below!! 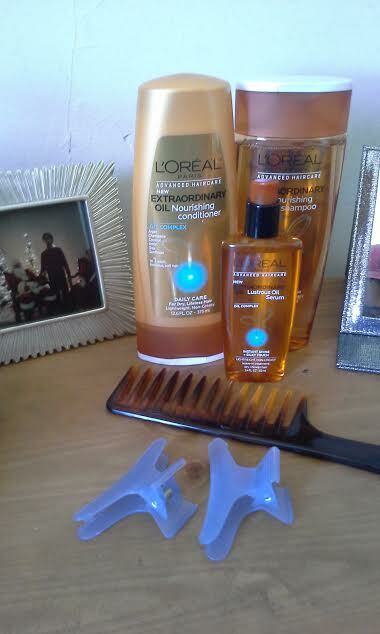 I used the Loreal Extraordinary Nourishing Shampoo and Conditioner in the show and was very happy with results!! Using power of Argan, Chamomile, Coconut, Amla, Sojoa, and Sunflower oils, the shampoo created moderate suds and felt like my hair was being cleanse and conditioned at the same time!! With the same oils in the conditioner, again my hair felt like it was being conditioned without the heavy nor greasy feeling from root to ends!! Both the shampoo and conditioner rinsed clean without heavy residue feel which is great for my hair type especially for the warmer months of Spring and Summer!! And now to the blow drying stage of finishing my hair!! 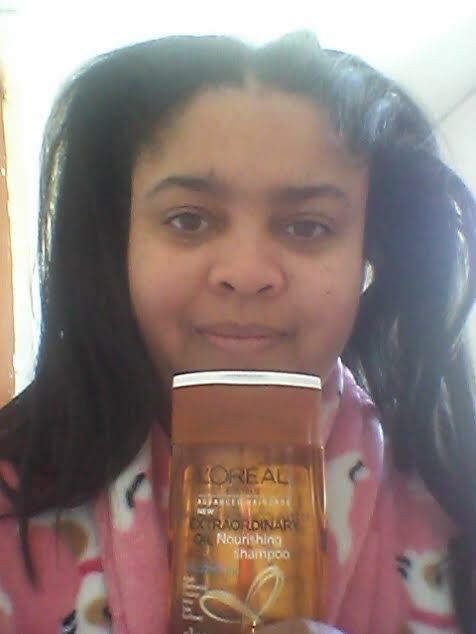 I love the results of the Loreal Extraordinary Nourishing Shampoo and Conditioner for my dry, relaxed hair type which cleans and condition without heavy, greasy feel on my strands! 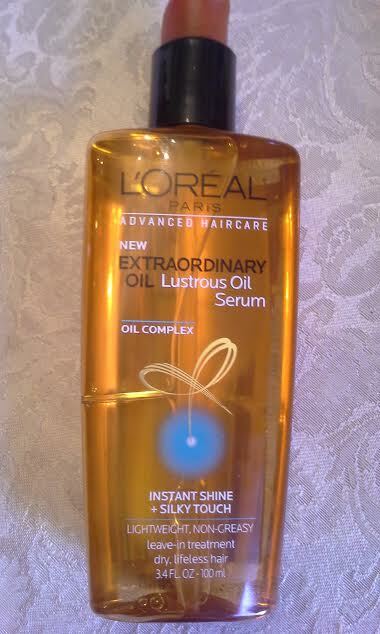 After shampoo and conditioner, I used the Loreal Extrodinary Oil Lustrous Oil Serum in my long, relaxed/new growth hair!! Containing special oil blend of Chamomile, Coconut, Sunflower, Soja, Gardenia, and Rose oils, I used a quarter amount in my hands and applied mid-length to the end of my hair and used a wide tooth comb to evenly distribute in my hair before blow drying!! The oil serum was light-weight without feeling heavy nor greasy feeling which is what I want for healthy, conditioned hair!! Also, this oil serum helped protect my hair during the heat process of drying my hair, too!! Here is the final results of using the Loreal Extrodinary Oil Shampoo and Conditioner and Lustrous Oil Serum in my long, relaxed/new growth hair!! 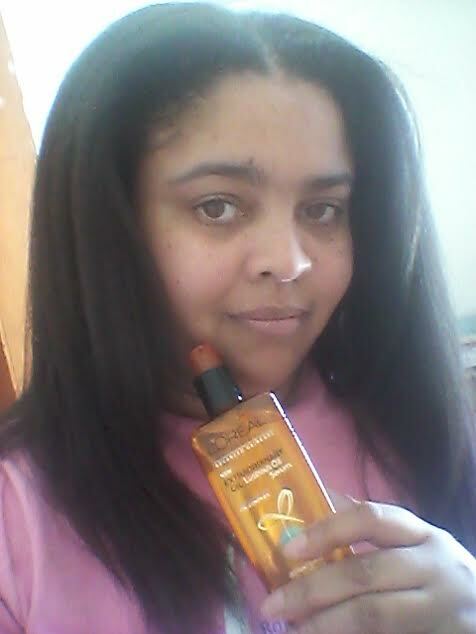 From showering to styling my hair felt conditioned in every process with the power of nourishing, oils and botanical extracts for healthy, light-weight feeling in my hair!! 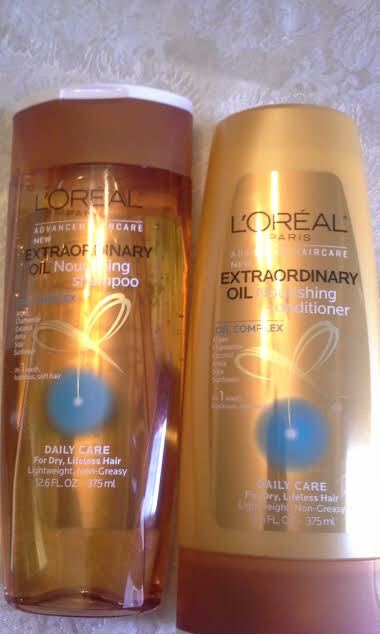 I highly recommend using this Loreal hair products if you have dry and relaxed hair, too!! Your hair looks fabulous! I believe in oils. They make such a difference! Your hair looks great! Thanks for the review.